The Feast of SS. 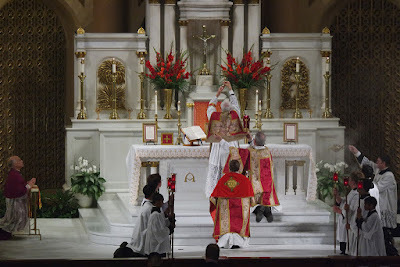 Peter and Paul marked the Silver Jubilee celebration of the Rev. Joseph Illo, pastor of Star of the Sea Church in San Francisco. Fr. Illo celebrated with a Mass in the traditional rites in the presence of the Most Rev. Salvatore Cordileone, Archbishop of San Francisco. The Rev. Jeffrey Keyes, C.PP.S. 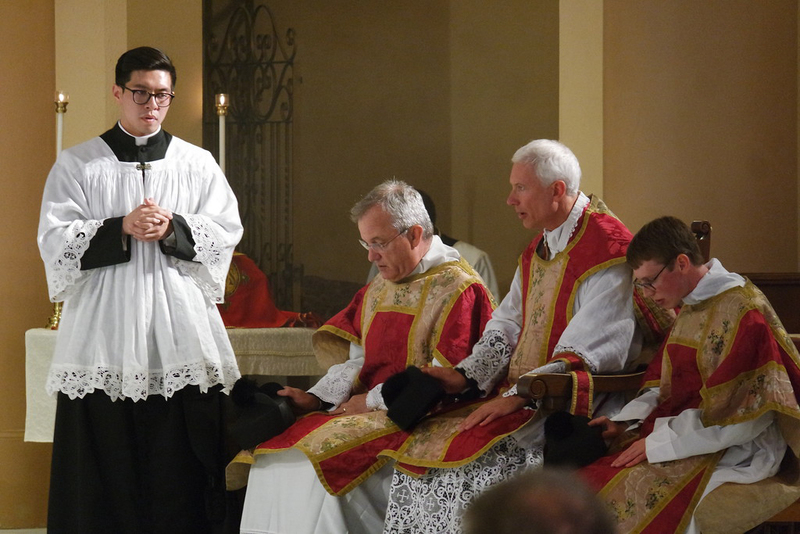 was the deacon, while Cameron Pollette, a seminarian for the archdiocese was sub-deacon. The Rev. 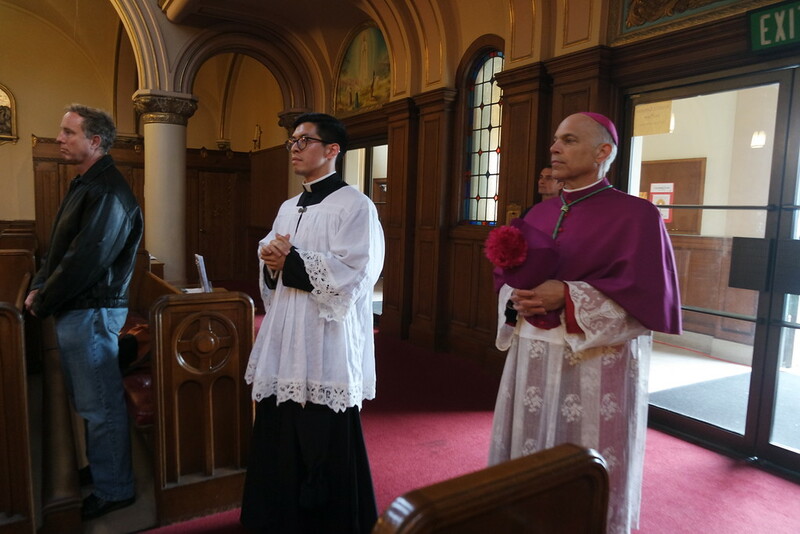 Mr. Alvin Yu, a recently ordained deacon, was the master of ceremonies.